When the playwright Noël Coward said, “I don’t know what London’s coming to — the higher the buildings the lower the morals”, he was probably making a comment on the high-rise apartments which sprang up in the ’60s, the concrete ones which have since been used to set scenes of cultural apocalypse in redemption films such as Ill Manors, or human dramas like Top Boy and Harry Brown. They’re still as noticeable in London as anywhere else, but it’s a very different sort of high-rise that keeps people talking nowadays. The gleaming windows on the banks and financial institutions from Liverpool Street to Canary Wharf act as a sort of illuminating beacon around the Thames, the all-seeing eyes of the financial world around their Middle Earth (the aircraft warning light on top of the J P Morgan building taking wholesale Tolkien’s intimidating pose). Since the early ’70s, London has built itself as the home of finance in the Western World. More so even than Wall Street, the City is the top destination for international banks, foreign investors and industrial tax dodgers, who themselves are entwined with the powers in Westminster and the Chipping Norton set. It’s also a power base which has seemingly chipped away at national unity, with parts of Scotland now actively working towards an anti-Tory/Westminster independence, and the North and South West becoming increasingly split from the economic benefits of having one of the most expensive cities down the road. Around this seemingly invincible power base lies one of the most diverse cities in the world (the N15 postcode alone is home to 105 ethnic groups), with streets that house a myriad of cultures with a multitude of religions and languages, not to mention the sizeable transient populations of students and tourists. The value of community is as important to those in the capital as it is everywhere else. This article is going to look at the struggles communities and independent businesses face, with a focus on creative communities and the bars and galleries they sustain (this is a music and ‘culture’ website after all) in South East London. Beyond that, what is the shape of localism and community in 2014, and why does it matter? 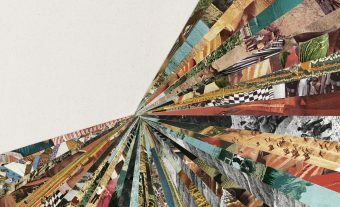 Creativity has always sprung up in the rickety outskirts of cities, but those outskirts are getting pushed further and further away, and could soon disappear almost as quickly as they evolved into being. Peckham is an area of South East London situated between Camberwell and New Cross, best known for being the location for Only Fools & Horses. The arts and humanity-based universities nearby (Camberwell’s eponymous college and Goldsmiths in New Cross) has made Peckham a natural home for art spaces and bars. It began life as a Saxon settlement and went on to become a wealthy residential area in the 16th Century. William Blake visited in 1767 and claimed he saw an angel in a tree, while the oldest building still in existence in the area dates back even further, to 1690. One 19th Century magazine editor, Edward Walford, made this comment on the area in 1878: “Peckham Rye – a tract of common said to be upwards of fifty acres in extent – has from “time immemorial” been used as a recreation-ground by the inhabitants, not only of this district, but by thousands upon thousands whose life is principally spent amidst City smoke or over-built suburbs”. By the 18th Century it was attracting industrialists who wanted to avoid the expensive rents of Central London. Not much changes then, as the speedy development and gentrification of Peckham is generally believed to be because of young professionals moving to the area to avoid the high rents of the North and East. The issue of gentrification isn’t a new one. In 1789 protests were made by the parishioners of the time against building and developing on the Rye – the area was still largely parkland and had been established as a hunting ground for royals and the establishment. The ditty which opens this article was taken up by the residents of the time who believed that the planned development was going to infringe on their way of life. This lead to the manorial rights to the area being bought by the vestry for “free use of the South Londoner”. Peckham is now part of the borough of Southwark which was formed in 1965. The borough also contains many of London’s key tourist attractions, including the Imperial War Museum and the Tate Modern. Many of the tenants in the area worked on the Thames up until 1970, when the closing of the docks lead to a mass decline in in population from 580,000 in 1900, to around 200,000 in 1980. The last 20 years has seen the population grow again, and “at 99 persons per hectare, Southwark has a population density about twice the London average”. In the last ten years South London’s population has grown faster than all other London sub-regions; five percent higher than the next fastest growing sub-region, along with Inner East. As is blindingly obvious to anyone who’s visited the area, Southwark is ethnically diverse, with people of African and Caribbean descent forming 22% of the population, many of them in the Camberwell Green and Peckham area. The white population, who make up around 40%, are concentrated around Southwark Village, Surrey Docks, Rotherhithe, South Bermondsey and Riverside. These are the ‘posh’ bits, if you were wondering – a quick look at Zoopla and you won’t find many one bedroom flats available for sale in South Bermondsey for less than about £300,000. It’s one of the most divided boroughs in the city, with a 4% higher than London average amount of wards in the bottom 10% income bracket, living alongside a 2% higher than average amount of wards in the top 10% income bracket. Unemployment in the area matches the national trend, rising just over 1% from 2009 to 2012, leaving over 8% of the working-age population out of a job. Despite health issues and overcrowding dogging the borough, it is one the better improving ones across the board, alongside Lewisham, Lambeth, Hackney and, erm, Westminster. It’s this combination of diversity, relative affordability of rent, the density of art colleges which are dotted throughout the area, and a heritage of being community-orientated that has made the area such a hot-pot for creativity and independent business. You can count the amount of chain stores on Peckham Rye road on one hand, which, considering the sheer amount of shops which are on the street, is pretty impressive for anywhere in 2014. Rye station was built in 1865, with the surrounding buildings added in the ’30s, and over the past handful of years the arches under the railway tracks and rooms in the adjacent art deco buildings have been filled by a variety of bars (Bar Story, Peckham Springs, Peckham Refreshment Rooms), galleries (Sassoon Gallery, The Arches, Sunday Painter) and other businesses from steel fabricators to car mechanics. It’s a hub of activity, and on any given weekend the courtyard behind the station is packed with revellers and locals preparing for a late session at the Bussey, or summertime readers heading to rooftop bar Franks, which has seen a growth in popularity after being highlighted in the likes of TimeOut. From Camberwell’s multiple restaurants and pubs, through to Peckham’s arty bars and pubs, the student hub of New Cross and the artistic, emerging area of Deptford, a locals’ local sort of area, the South East London scene isn’t anything new – but there’s definitely something in the water. The biggest current draw to Peckham is the CLF Art Cafe, based in the huge Bussey Building warehouse space, originally built in the 1880s to manufacture cricket bats. 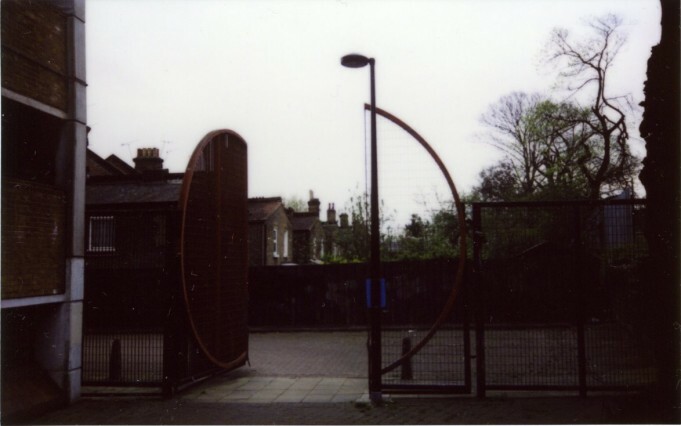 In 2006, Eileen Conn, the founder of local pressure group Peckham Vision and a resident for forty years (actively involved in local planning since 1975), came across plans from developers to knock the complex down. 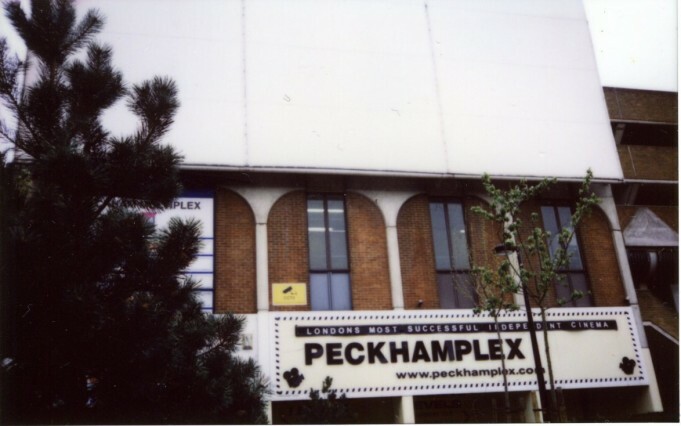 Peckham Vision then went forward with a three year campaign to publicise the potential of the building, a campaign which eventually saw the formation of the CLF Art Cafe, the three storey nightclub which hosts hundreds of revellers every weekend, and in summer shows films on the roof. From the long-running Soul Train event which sells out every month, to house and disco nights, art viewings, original theatre productions, community meetings, poetry nights and live gigs, the variety of the events has made the CLF one of the most inventive venues in the Capital. The rest of the Bussey Warehouse accommodates over 60 arts and exhibition spaces and faith groups. Another local haunt saved from developers is the 130-year-old Liberal Club, which is now listed as a community asset; the members-only space also hosts live music, one-off events for the public and community meetings. 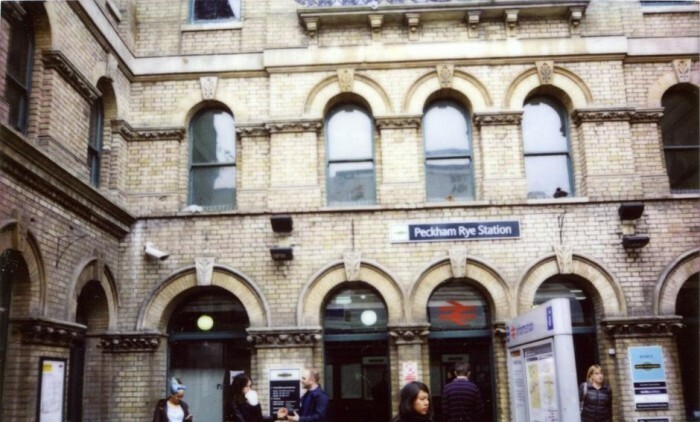 The Peckham Vision collective had campaigned throughout this period for Network Rail (who own many of the buildings around the Station) and Southwark Council to clean up the high street and open up the remaining empty spaces around the station to locals for new business opportunities. Makes sense; the area is booming of its own accord, so what better way to grow the potential than by using pre-existing and flexible spaces? The council received a grant from the Greater London Authority to renovate the area, with the proviso that the money must be spent by 2016. After a year of planning, on the 18th January 2014 Network Rail unveiled a fly-through animation of their grand vision at a consultation event. The plans were slightly different to what was expected. Either side of the station they suggested blocks of flats, up to six stories high (to replace current businesses using the arches), with the central court being rebuilt to house a small set of glass fronted shops. You can see the animation here. The problem here is not that they’ve suggested investing money or redeveloping, as many locals instigated the need to reclaim the station area. 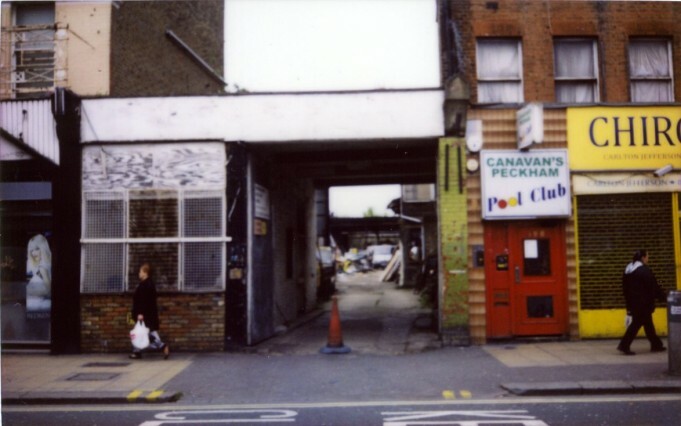 As Doreen Campbell, owner of Bellenden Road’s Caribbean Spice Bakery, told alternative local paper the Peckham Peculiar: “It’s a good thing for society to move on and mature, not just stay the same”. The pernicious aspect of the plans seems to be that they’re aiming to take a functioning community and sell them out of the area. As one comment below the animation puts it: “So many people decry what they consider mess. That’s where stuff happens. The same people go on holiday to Marseilles (for example) and celebrate the hole-in-the-wall […] We’ve got it here and we’re busy destroying it”. Persepolis is one of Peckham’s most famous establishments. 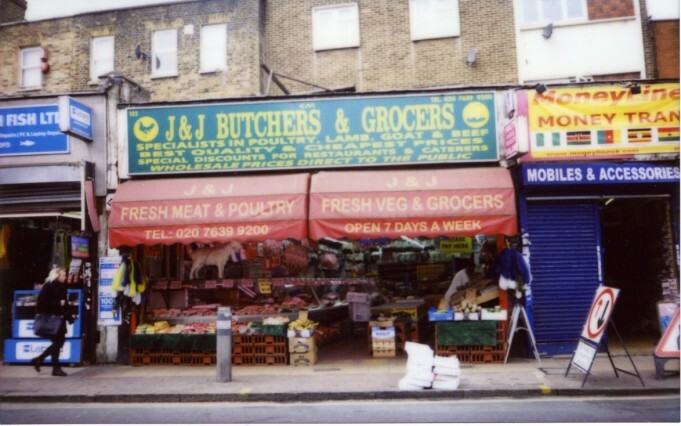 A Persian food wholesalers and shop, it’s been a fixture of the area for thirteen years. Sally Butcher runs the shop with her husband, and part of their fame derives from their Persian cookery books which are now printed in four to five languages. 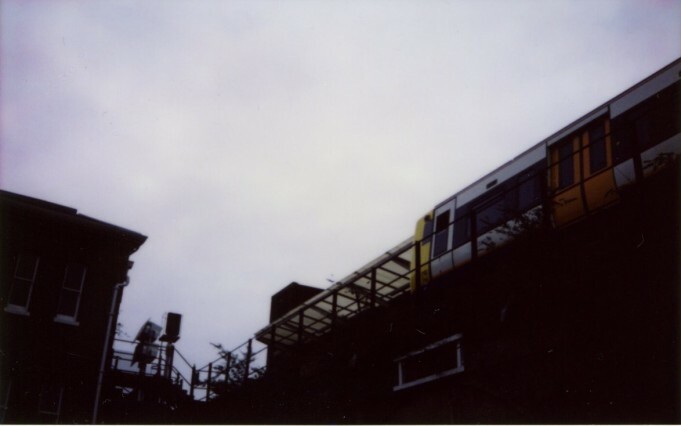 “I think one of the big draws of Peckham is its sheer raw charm,” Sally says. “If you walk along the Rye with your eyes shut, which I don’t advise because you’d fall over, the joy of it – the smells, the sounds and sheer joie de vivre of all these nationalities bumbling against each other – is lovely. If it carries on at this rate that raw ethnicity is going to be steamrollered out”. Film production company Spectacle recently announced a documentary is in the works on the development plans. In their letter of intent they echo similar sentiments: “This process will lead to London becoming like Paris, where only the rich can afford to live in the city centre and the poor are pushed out to the suburban perimeter, with its associated rise in social tension and social segregation. The pursuit of profits by the privileged few is achieved at the cost of social cohesion, equality of opportunity and quality of life for the many”. On the 26th February, Peckham Vision canvassed more than a hundred locals into writing to the Mayor of London asking for the GLA’s funding deadline to be extended, it succeeded in doing so. Southwark Council member Fiona Colley announced, “Plans are now being developed to make local people full partners in shaping the redevelopment”. Most people would like to know why this wasn’t already the case. Southwark Council had been involved during the entire planning process, but publicly announced they were “surprised” when the plans were announced. How bothered they were by what residents were going to think is up for debate though – at one post-reveal consultation of Network Rail’s initial plans, Southwark councillor Peter John reportedly told members of the community present: “I’m fed up with you, you’re wasting my time”. 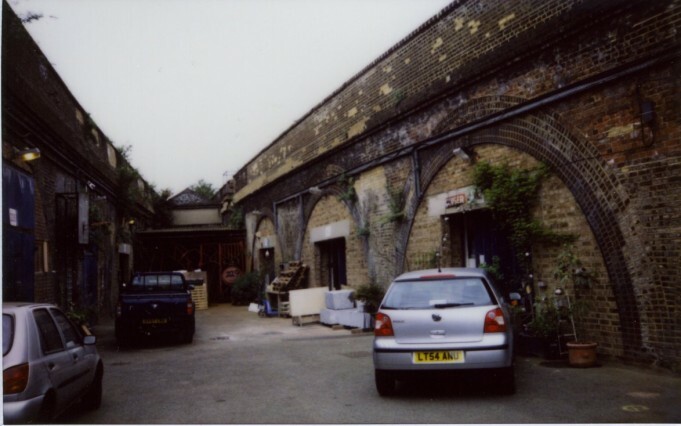 The Arches Studos* are a group of independent artists and artisan businesses, and is also home to open studio events they run themselves, plus the South London Art Map’s (SLAM) series of once monthly events (you can find out more about them here). 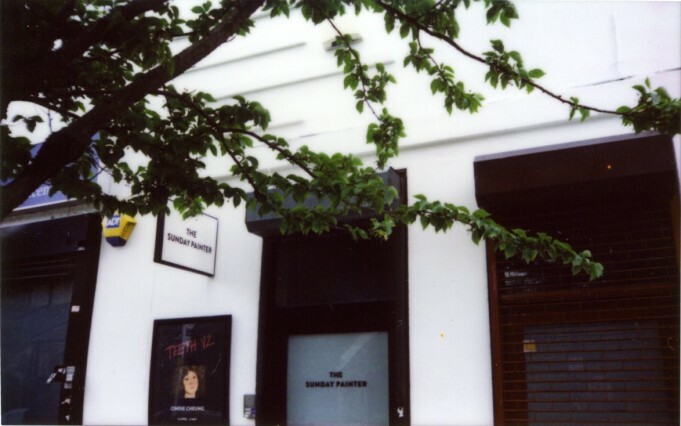 This particular venue is in Blenheim Court, a block behind the bars like Bar Story and Sassoon Gallery which the area is also known for; the courtyard houses sculptors, cabinet makers, a car mechanic and various other small businesses, some of which have been there for over twenty years – over twenty individuals work in this compact space. 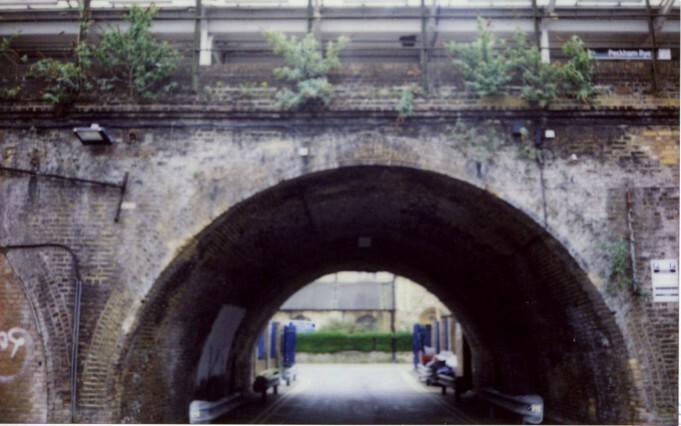 The arches are hired out by Network Rail relatively cheaply, largely due to the fact that the spaces aren’t renovated, with the condition of the spaces maintained by the businesses that exist there. The general consensus was that any Rye redevelopment plans would focus on rebuilding the square in front of the station (an area which has seen much better days). Then one day a request to give permission for architects to visit the area raised some concerns. Soon after, business owners found out their space was included in the redevelopment plans, but only in the last draft – no one had asked them about their opinions or concerns. A two month campaign followed, involving other locals writing to object against the dislodging of local businesses for the sake of housing and profits of a Rail company. The plans for Blenheim Court have, for the time being, been dismissed by Network Rail. Back to Sally Butcher at Persepolis, who filled me in on one of the previous community committees called the Peckham Programme. “[It] was heavily government funded, and was trying to help Peckham,” she explains. “It was great, they had a budget and they knew what they were doing, and I was part of the Peckham Town Centre management group, which again was subsidised by them, and we were looking forward to a particular vision of Peckham. Unfortunately the funding was withdrawn and that unit was disbanded. […] They were the perfect balance of council and government money with citizen power, and I’ve never seen that before or since.” Amazingly there is now no town planning committee; a lack of funding, a seeming lack of leadership and a lack of time (they are running shops after all) seems to have seen it off. A similar story was also told to me when I last visited my home town of Taunton in Somerset last Christmas. The slow erosion of the high street isn’t only affecting busy, multicultural areas; opportunities are also being sucked out of rural towns as well. It’s important to look at why independent business is important. The main benefit economically is the ‘Multiplier Effect’ – the idea that local businesses spend more of their money locally, which then creates a feedback loop of support for the communities they’re in. According to one study from Texas in 2002, for every $100 spent in a chain book store, only $13 of it would go back into the local economy. But that same $100 spent at a local, independently owned book store put in $45. Sales of the 500 largest corporations grew 700% in the past 20 years, yet since those corporations fire more people than they hire, it’s no surprise that seven out of world’s ten biggest employers are still state owned. It’s not as if big, branded high street stores create much new expenditure either. A study of Walmart’s impact on existing retailers in the US found that “84% of Walmart’s sales simply shifted dollars away from existing local (including some chains) retailers”. Local, small and independent business helps balance out the effects of globalisation and the centralisation of money and power. A more equal society economically creates more jobs, greater prosperity among a greater number of people, and, as The Spirit Level argues best, makes a society fairer, healthier and happier as well. People are aware mostly of the growth of the supermarket over the past two decades, and while they’re declining in terms of market share (although for Tesco alone this was a mammoth 29.8% retail share anyway), online retail is expected to grow another 16% this year in the UK – you can read some thoughts on how that affects employers and independent business in a previous Monitors feature: Cheetah on the Net: The Rise of Amazon & Online Retail. The Institute for Local Self-Reliance (a US foundation formed in in 1974) states: “A marketplace of tens of thousands of small businesses is the best way to ensure innovation and low prices over the long-term”. It’s this sense of innovation, community and independence, that ‘home’ feeling which is so hard to describe and impossible to quantify, that is ultimately what people want to try and save. Homes are another issue facing many cities in the UK, and one of the reasons that flats are pushed into every development suggestion going. London is currently seeing a yearly growth rate in population of 1.3%, while property owned by foreign investors in the capital was up 40% over a five year period (until 2012), leading to a situation which even the Bank of England has admitted it can no longer control. This has created a situation where house prices are now growing at their fastest rate in four years, while living standards are falling to a one hundred year low, with one in five workers earning less than the living wage. As James Meeks puts it in his article ‘Where Will We Live‘, “A housing shortage that has been building up for the past thirty years is reaching the point of crisis”. It’s this strain on housing which leads to so many planning applications to be made, the Peckham Rye development being a case in point. And although people are usually told they’ll be ‘affordable’, the combined effect of an average house price in the UK reaching £250,000 and the Con-Lib Government announcing that developers will no longer have to “include low cost housing to get planning permission for new developments […] Under the plans the requirements on builders to put something back into communities where they develop is being lifted for three years [since 2012]”, doesn’t leave you with an enormous sense of optimism. Indeed, many locals I spoke to were pretty pessimistic about the idea of new builds being anywhere near their price range. There are alternatives to the current housing system coming out of the wood work, one of them being the recent ‘Neighbourhood Planning‘ group which has started in New Cross. Although still in its infancy, it’s aiming to look at “[enabling] communities to have much greater involvement in the way their areas develop. By coming together as a forum and deciding on improvements that could be made and things that should be protected […] creating a community land trust to ensure the availability of truly affordable housing and workspaces”. I spoke briefly to the founder, Tessa Gooding, who said: “I’ve just submitted the official application forms to the local planning authority for our neighbourhood area and forum… However, I should stress that everything mentioned are just ideas at this stage because the forum will be run democratically and anyone who attends the meetings will be able to vote on what we pursue in our neighbourhood plan, that will hopefully become part of the statutory local planning framework”. Peckham Vision has been fighting the case for integrated planning, too. 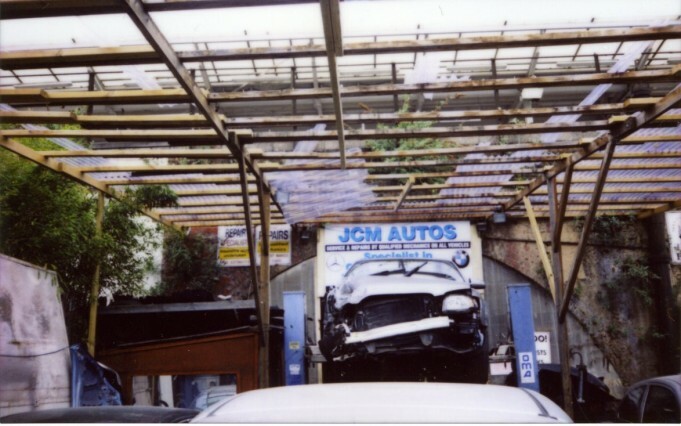 Many of the current businesses in Peckham are considered ‘social incubators’, delivering spaces for community events which hadn’t previously had a place to occur. In the same way parks allow people to play football, an indoor space gives people a place to talk. They supply education as well as being employers. But there seems to have been a clash of ideas between local campaigners from across London and what they see as people on the lookout for short term, commercial profit. Southwark Notes is a group of activists based in Elephant and Castle, and have been campaigning against the recent development plans near the roundabout which they see as out pricing current residents away from the area (the ‘Shard’ effect coming down the road from London Bridge, which almost put the Ministry of Sound out of business). At a recent A.M.P. Must Meet (Art, Music and Politics Must Meet) talk, it’s fair to say they were pretty disheartened by what they’d seen as the community’s concerns being completely ignored, leading them to produce the meme: ‘I Participate, You Participate, He/She Participates, We Participate, They Profit’. How communities have become to feel so disconnected from local politics, development plans, and their presumed right to be autonomous and to self-improve is a major issue. It’s at once created a malaise of political opinion, and also directly affects places and people that become part of our individual lives. The Pelican is a relatively new addition to the area (it opened in August 2013), based about fifteen minute walk from Rye station. They won’t be directly affected by planned changes to the station area, but survive through support from the creative community and spirit in the area. Emma Finamore, who’s lived in the area since 2011 and works at the Pelican, talked to me about ‘community spirit’: “Like anywhere there are always new people coming and people leaving, but there are families that have been here for years, and lots of people I know moved here as students, say seven years ago, and have never left! They’re creating their own networks and communities, and lots of them intend on staying as they move into their early thirties, as long as they can afford to”. Just under a month after the announcement of the plans to redevelop the station area, the council extended the consultation period by a month after local MP Harriet Harman was contacted by over sixty local residents, and then got in touch with the council and the Cabinet Member for Regeneration. The day after, February 12th, “local people and local businesses told the Peckham & Nunhead Community Council that the local community supported plans to create a new square in front of the station and improve the area around it. But it was not expected that this would be accompanied by far reaching redevelopment proposals for the entire station site”. Peckham isn’t the only inner city community to be battling against the tide. Bristol’s Stokes Croft – one long graffiti wall where Banksy started his career – was the longest stretch of independent shops in Britain. It was, until Tesco decided to open an Express store in the area in 2011. The best part of the community’s ‘No Tesco’ campaign was the price comparison part of the campaign’s site, which pointed out that shopping locally/independently would actually cut £3 off the average Tesco shopping basket. The announcement was infamously followed by a riot which hospitalised eight police officers. Indeed, the report from the Riots Communities and Victims Panel after the London riots of the same year came to the conclusion that: “The key to avoiding future riots is to have communities that work”. The more communities are put under pressure it seems, the more likely they are to start applying some pressure back. Luckily Stokes Croft is still rammed with bars, venues and various other local businesses, including second hand bric-a-brac and record stores. Towns and smaller cities across the country have long since been on the receiving end of ‘redevelopment’ and suburbanisation. Where there were once masses of industries, clubs and independent businesses, these have long disappeared as a result of de-industrialisation, globalisation and the rise of the department stores and supermarkets. The Lost Pubs Project, which tracks the loss of pubs up and down the country, have added over 24,000 to their books since 2010, with four more closing every week. Independent book shops are down a third since 2005 according to a 2008 study, while 23 high street butchers had shut down every month since 2000. A ‘Supply of Groceries in the UK Market Investigation’ in 2008 by the Competition Commission found that 80% of independent high street shops had closed across the UK, frequently replaced by environmentally unsound supermarkets, and damaging the jobs market and local economies as they disappear. This mass destruction of regional high streets has not only created a vacuum which is making big cities into even bigger magnets for young people (feeding back into the issues of overcrowding and rising rent prices) but has also helped lead to unemployment stagnating at a three year high since 2009, underemployment rising to over one million in 2012, and has forced many people to sign controversial zero-hour contracts. Newcastle aims to be “the first Carbon Neutral town” in the UK. After hosting the Turner Prize in 2011, its contribution to art got a bit of a boost, and several artists from Newcastle (population circa 279,000) and the North East are currently garnering attention. The Ousebourn Valley is home to nine venues, bars and studios, such as Blank and Blast. Joe Frankland works at The Generator, a charity which works alongside fundraisers to deliver support to developing musicians in the North East area. “Other than the bands, we have a few great managers based around here like Owain Davies (Ben Howard), Keith Armstrong (Jake Bugg) and Dave Stone (Lulu James). There are some good bedroom/DIY labels and loads of artists putting their own stuff out. There are also publishing companies like Wipeout Music. Looking further afield to Sunderland, Independent is a great venue which moved recently to a new space. And the big development down there is Pop Recs Ltd., an independent record shop/venue/café set up by the lads in Frankie & the Heartstrings with support from Sunderland City Council”. “It is of course crucial to support emerging music,” Frankland continues, “…generally the area’s independent spirit shines through. We punch above our weight for our size and musicians collaborate and help each other out more than most towns, which will always be key”. 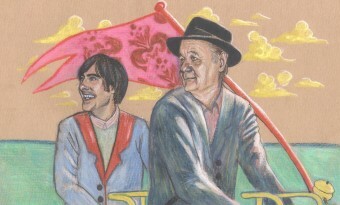 With the recession continuing to impact the area, where does he see the future of the city’s music scene heading? “The recession has definitely hit Newcastle’s live scene more than in London, which has a knock on effect on the number of promoters sticking with it, and on ticket prices and artist fees. But locally there’s some great new bands and solo artists coming through, and I think by 2015/16 people will look more and more to scenes like Newcastle for inspiration”. Another city which is more than proving itself to be a hub of creativity is Glasgow (population 598,830). In between the numerous venues and its significant musical heritage, it hosts one of the strongest musical scenes around (keep informed on it via the Glasgow Podcast, here). Chemikal Underground is one of the longest-running labels in the city. Established in 1994, it’s released records by the likes of Bis, Mogwai, Arab Strap and RM Hubbert. With the arrival of the Commonwealth Games this year, Alun Woodward and Stewart Henderson from the label decided to make the most of the attention and put on a series of events stretching from the beginning of the year right up until the August Bank Holiday. Utilising small, flexible spaces alongside established venues across Bridgeton, East Glasgow, it’s being punted as ‘the most ambitious, eclectic and community-orientated music programme the east end has ever seen’, and will conclude with two massive gigs at the end of August in Richmond Park featuring Mogwai and Hudson Mohawke. I asked Alun what the support from the local council had been like (‘East End Social’ is being held in partnership with regeneration project Clyde Gateway). “Like any council there’s money around, if you know where to look there’s definitely money and resources. There’s lots of enthusiasm as well, lots of people in this city who want to get involved. When we first approached our local representatives about the project, for example, they were really keen. “Large parts of the city have changed. There are a lot more venues now across Glasgow [since 1995…although] one negative is that some of the bars are rubbish at putting gigs on! But until now the venues have missed the East of the city, so this is the first time there’s been bigger events [in the East]. There are lots of interesting spaces – Glasgow East Arts Company are rebuilding Easterhouse for example, and there’s a school with a theatre in it which is cheap to hire and a great space. Saying that, many promoters have noted that Glasgow is tough on regulations for live gigs”. And how has the local community reacted to this boom in events and usage of previously empty space? “It’s early days to know, for sure,” Woodward admits, “but from early discussions with community councils there is a great interest in having music in local spaces”. Back to South London. On the 27th of March, Harriet Harman met some of the local businesses due to be affected by the changes, and was accompanied by news that Southwark Council had now confirmed that the GLA has agreed “in principle” to extend the consultation period. In a letter her office sent out around the same time, the 1930s Art Deco building where Peckham Refreshment Rooms and the Sunday Painter are housed were ordered to “not [be] torn down”, and that “… the redevelopment should support the growing and dynamic arts scene in Peckham and ensure that local independent enterprises are not squeezed out by Starbucks and Costa”. On April 3rd, Southwark Council announced that further public consultation around the redevelopment of Peckham Rye Station would take place over the upcoming summer before another planning application is submitted in Autumn this year. According to the Peckham Peculiar’s Twitter account, the council also said that whatever the scheme is, it is expected to be completed by summer 2018. Local Councillor Fiona Colley said: “local people felt the initial consultation was too hurried”. It seems that, for the time being, and after almost nine months of protest and press, the residents have won a key victory; even if to some it does feel like something they shouldn’t have been denied a say over their community, their jobs, and their homes in the first place. Network Rail had also changed their tune, with their Senior Town Planner Stephen Mills stating: “Network Rail will continue to work with the local community to ensure that the most appropriate and viable proposal for the area around the station is produced and that the development will be an important asset, both for the local community and the travelling public in general. To this end, we have already had very valuable feedback to help shape these plans from the two community consultation events undertaken in November and January”. On the Peckham Vision site it quotes ’60s cultural anthropologist Margaret Mead: “Never doubt that a small group of committed people can change the world. Indeed, it is the only thing that ever has”. With Peckham’s combined power of dedicated locals with creative communities and the spending and cultural power of a transient nightlife crowd, the residents of Bristol tagging walls with anti-supermarket messages, and independent labels and music ventures in Glasgow and Newcastle supporting local arts, artists and venues, the fight for local communities seems to be enjoying a new lease of life. While the financial foundations of the skyscrapers in the City get shakier, it seems the foundations of the communities around them, even against the odds, get firmer. If they continue to keep up the pressure, perhaps the fate of our local communities won’t solely rest with outsiders but in the hands of residents themselves. In the first of an ongoing series relating to film music, we analyse the soundtrack to Wes Anderson's latest ensemble favourite: The Grand Budapest Hotel.